Refresh is a powerful feature, available in the Qorus Add-in for Word, that helps teams keep the content within documents in sync and up to date with the re-usable content stored in OneDrive for Business and/or SharePoint Online. It works by keeping track of the ‘refreshable content’ in your document. You can insert content into documents as 'refreshable content', and you can also clip and save re-usable content found in documents to the cloud, as ‘refreshable content’. 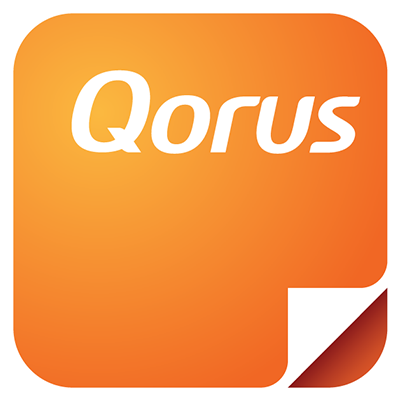 The Qorus refresh compares the version of the content as it exists in the document (referred to as the 'document content'), with the corresponding content version in the cloud (referred to as the 'source content'). If you make a change to refreshable inserted or clipped content in the document, you can choose to refresh and update the source version stored in the cloud. Click on the 'Refresh' tab in the top nav of the Qorus Content Hub Add-in for Word. Next, you'll see a list of all the refreshable content that's been inserted into the document, as well as the refreshable content that has been clipped from the document and saved as new re-usable documents in the cloud. Clicking on a file name will reveal information about the refreshable inserted or clipped content versions. In the example below, we can see that the version of the ‘Lead Management Capabilities’ document that was inserted as refreshable from SharePoint Online, dates back to Aug 14th 2018. This is the 'Document Version'. Since then however, this ‘Lead Management Capabilities’ document has been updated. In fact, it was last updated on Aug 24th 2018. This is the 'Source Version'. To update the document with the latest version of the ‘Lead Management Capabilities’ document now available in SharePoint Online, all you need to do is click on the 'Refresh' button. Alternatively, it's possible to click on 'Refresh All' to have the whole document refreshed with the latest cloud versions. TIP: If you're in doubt as to whether you should update your document or not, you can always preview the source content by clicking on the ‘Preview’ button (screenshot below). Alternatively click on ‘Open’ (exactly as you would from the search) to open and view the source version. It's also possible to update any refreshable content, while you work in Word - and then push those changes to the corresponding source version. This is particularly useful if you've spotted a typo in content you've already inserted as refreshable! Qorus Admins have the ability to turn the Refresh feature on or off by user role, so if you're unable to use the Refresh, please check with your Qorus Admin that the feature is enabled for you. Permissions set in the cloud continue to apply. This means that if you don't have edit rights on a piece of re-usable content in SharePoint Online, you won't be able to refresh source content with changes made in the document. Finalizing a document cleans up all the content controls the Refresh relies upon in order to work. So if you've finalized a document, you won't be able to refresh any of the content inserted as refreshable prior to finalizing the document. Only content that has been specifically inserted with the 'insert refreshable content' option, or that has been specifically clipped ‘as refreshable’, can be refreshed.